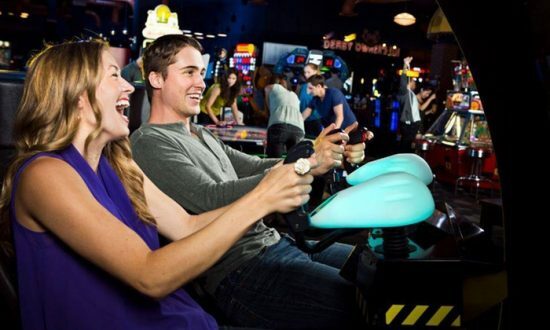 Enjoy some fun and games at Dave & Buster’s in Edina or Maple Grove and get a great deal on an all-day gaming package for two with this offer from Groupon. You’ll pay just $25 for an All-Day Gaming Package for Two ($70 value). Each person will receive one all-day Simulator Power Card for all games that do not issue tickets or prizes, plus 18 game chips. With the All-Day Simulator Power Card, you can choose from single and multi-player games, including 3-D, simulator, sports, and rides. Bonus: You won’t have to pay the activation fee with this deal, either! Your Groupon will be good for 120 days after purchase, and there is a limit of 1 per visit. Not valid with any other offers or promotions, including Eat & Play Combos, Half Price Games Wednesdays or any Half Price Game promotion. It’s also not valid on May 27, June 16, or July 4, 2019. Eat. Play. Drink. Watch. Dave & Buster’s ambition is to offer something for everyone. Regardless of which location you visit, you can count on being entertained. 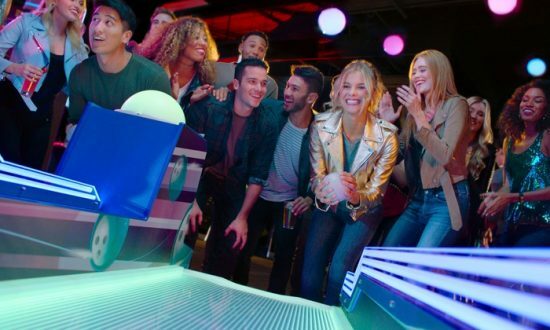 Each Dave & Buster’s location boasts a Million Dollar Midway––an enormous game room that consists of rows of arcade games and the latest video games. The sprawling entertainment complexes feature full bars with specialty cocktails and dining areas that serve a chef-crafted menu including burgers, steaks, sandwiches, and other American dishes. With dozens of HD TV’s, the Sports Bar allows the guests to enjoy their favorite sports action. Get your Groupon for the Edina location HERE or the Maple Grove location HERE!